The invention of the elevator revolutionized the way buildings are constructed, allowing for the mighty skyscrapers of today. 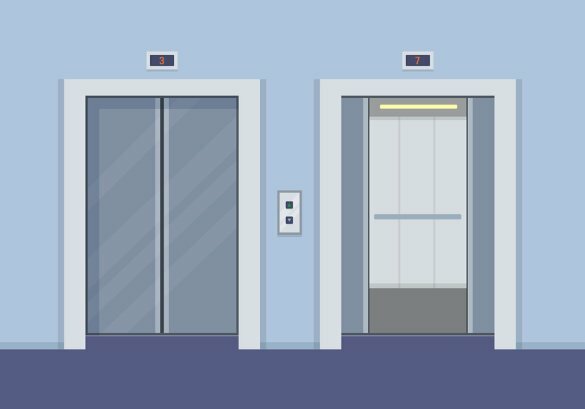 Though elevators operate normally most of the time, it is possible for an elevator to get stuck like you see in the movies. To prevent this from happening to you, be sure to have an elevator company in Salt Lake City provide regular maintenance. In this video, Richard Gail of the Newark Fire Department discusses what you should do if you get stuck in an elevator. First, it’s important to stay calm. Next, you should try pressing buttons one at a time, as this could interrupt the signal and get the elevator moving again. If that doesn’t work, use the call button or handset to alert security to the situation. If all else fails, you can use your mobile phone to call 911. While elevators are commonly seen in commercial buildings, more and more homeowners are choosing to install elevators in their residential properties. When you install a high quality elevator in your home, you will be able to easily and conveniently access every floor throughout your home. A company that offers new elevators near Salt Lake City will be able to help you choose a residential elevator that is tailored to your specific requirements. To highlight the advantages of talking to your local elevator company, here is a look at some common reasons for installing residential elevators. Travelling between different stories in a home can be very tiring, especially if you or a loved one experiences mobility issues. One of the top reasons to consider installing a residential elevator is to improve accessibility to each level of your home. Rather than climbing flights of stairs or using a cumbersome chairlift, you will be able to reach each story of your home by hopping into your convenient elevator. For homes with multiple stories, stairwells can take up a significant amount of floor space. In order to save space in your floor plan, you may want to talk to your elevator specialist about the possibility of including an elevator in your home. Since residential elevators are compact, you may find that your elevator frees up important wall space or floor space throughout each level of your household. To free up even more space, you can consider installing your elevator on an exterior wall. 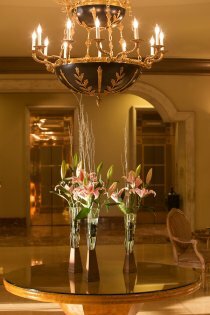 An elevator is a luxurious addition to any household. When you install a new elevator on your property, your home is sure to be the envy of everyone in your neighborhood. As you are shopping for a new elevator, you will be able to choose a unit that features design cues that match the rest of your property. With their luxury, affordability, and convenience, elevators are terrific additions to any home. Having an elevator installed in your home can make getting around much more convenient for your family and guests. Like every other appliance in your home, it’s important that you properly maintain your elevator to ensure safe use for years to come. One of the most important aspects of home elevator safety is minimizing the door gap, or space between the hoistway door and the edge of the elevator. For help making your elevator as safe as possible, it’s best to turn to the residential elevator maintenance experts at Carson Elevator. First, it’s important to understand the basic concerns surrounding the gap space in your elevator. In order for your elevator to function properly, it’s necessary for there to be a small gap between the hoistway and the elevator car. However, it’s possible for the gap to grow too wide over time, posing a potential safety risk. Generally speaking, the gap space should not exceed 75mm, or three inches. The biggest concern involving door gaps is the possibility of something falling in. If you’re not paying attention, you could drop valuables into the gap and lose them in the elevator shaft. Of course, the most frightening prospect is getting your foot caught in the door gap as you try to board or exit the elevator. Young children are especially vulnerable to getting caught in the door gap, and could even fall in under some circumstances. There’s also the possibility of a door gap being too narrow, increasing the risk of the elevator car scraping against the side of the shaft. Though it may sound scary, an elevator door gap is nothing to worry about as long as you stay on top of maintenance. Signing up for a maintenance plan is the easiest way to make sure your elevator’s gap space is within an acceptable range, and to prevent other potential problems as well. Maintaining your elevator over time is a lot safer, more convenient, and inexpensive than repairing problems as they arise. Elevators have completely revolutionized the way that we travel between floors of a building. While new elevators are equipped with failsafe safety mechanisms that ensure the safety and security of all passengers, it is still important to make sure that you follow best practices when you ride an elevator. 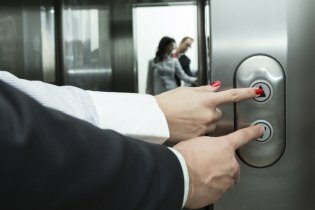 If you are planning on installing an elevator in Salt Lake City , you will want to make sure that your kids are educated on the topic of elevator safety. Let’s review some elevator safety tips that you will want to teach to your children. After you install a residential elevator in your home, your children may be tempted to ride the elevator as if it was a toy. 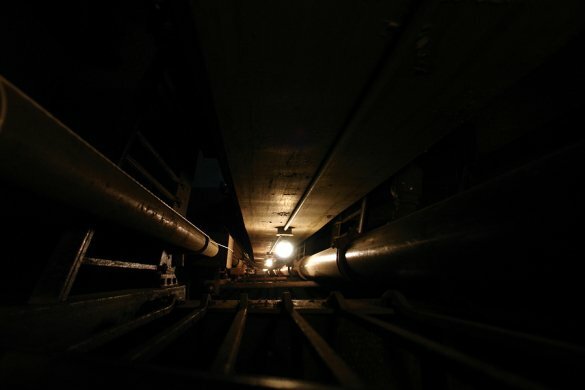 However, elevator are heavy pieces of machinery that should be operated with the utmost care. You will need to teach your children that it is against the rules to play in or near the elevator. To make sure that your children use your elevator safely, you may want to have parental supervision at all times. Both residential and commercial elevators are equipped with safety features that are designed to keep passengers safe in the event of a power outage or other emergency. When you are talking to your kids about elevator safety, you will want to make sure to demonstrate how to use the various safety features in the car. Going through some basic safety operations will help you and your family prepare for the unexpected. Elevator doors are equipped with safety mechanisms that prevent them from shutting on a passenger who is entering or exiting the car. To make sure that your kids are safe around the elevator, you will want to make sure that they treat the elevator doors with respect. If an elevator’s doors are closing, children should be taught to never rush through the opening. In a commercial setting, it is important to stand aside as other passengers are exiting through the doors. There are many reasons why you might choose to install a custom elevator in your home. If anyone in your home has trouble walking, or is unable to walk, then an elevator can serve as an essential means of moving between floors. If you’re going to install an elevator in your home, you might as well make it match your interior décor. For help finding the right custom elevator for your home, reach out to a custom residential elevator company near Salt Lake City. Carson Elevator offers a number of custom elevator options, including the Premier Cab Series, which boasts real wood raised panels with your choice of stains. The Signature Cab Series offers amazing versatility, with all kinds of options for wood stain or paint. If you’re looking for a subtler option, you might consider the traditional moldings and wood finish of the Hampton Cab Series, or the laminate walls of the Classic Cab Series. Let the custom elevator experts at Carson Elevator help you find the elevator that best satisfies your practical and aesthetic goals. If you are seeking technology that will make your home more accessible, you may want to consider installing a dumbwaiter or package lift. While both dumbwaiters and package lifts are designed to carry items between floors, each type of equipment is different in its installation and operation. A company that specializes in elevators serving Salt Lake City can help you make the choice between a dumbwaiter and a package lift. Dumbwaiters and package lifts differ in their overall designs. Like an elevator, a dumbwaiter carries packages vertically through a shaft that connects different floors of a building. In comparison, a package lift is mounted to the side of a stairwell. Using a powerful motor, the package lift carries boxes and other heavy items up and down the stairs. If you are seeking a solution for carrying items up and down the stairs, a package lift may be suited for your needs. Dumbwaiters work well in office buildings and homes with multiple levels.